The Logical Progression book details a surprisingly effective program of nonlinear training for rock climbers. 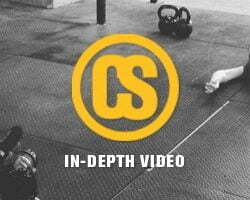 The program is simple, flexible, and enjoyable…and follows a simple series of workouts. 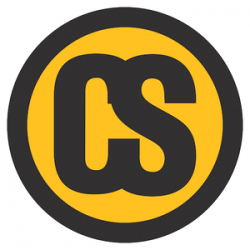 In general, athletes are asked to do an Integrated Strength workout, followed by a hard bouldering session, followed by a session designed to increase their endurance. Although I wrote the program with route climbers in mind, the book has taken on some amount of popularity with boulderers, too. Although the plan can work well to develop a boulderer’s ability as it’s written, I have developed a modification of the original plan that is more suitable to the needs of bouldering. The nonlinear approach involves sequencing several different sessions which aim at specific performance variables. By switching between the foci of sessions, we are better able to sustain high levels of performance across strength, power, endurance, etc. Although you could conceivably focus on one style of training for a few sessions at a time before switching to a new focus, we have found that switching efforts each session seems to produce the best results and keeps athletes interested longer. Boulderers needs differ only slightly from the needs of route climbers. They won’t need as much ability to recover actively, but they still need to train for capacity – without a fairly robust recovery system in place, they aren’t going to have very many goes per day before their power wanes. 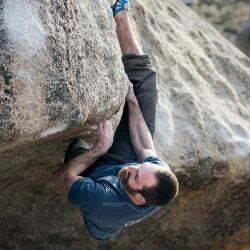 It is critical for boulderers to get past the idea that they don’t need endurance, and get into the mindset that being able to do more work means being able to do more high quality bouldering in any given period. We go to the gym and boulder with our friends, which is fun and usually helpful to our overall progress. Bouldering with our friends should not be considered training, though. Let’s call it practice or performance. By separating un-organized climbing sessions from our structured training, we can keep things quite focused in each type of session. 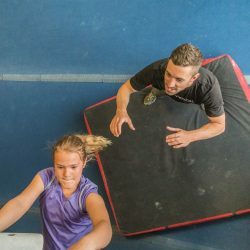 I like to program the majority of an athlete’s training as practice-style sessions; climbers should spend most of their time just climbing, and (more importantly) developing skills. A mindful workout structure will help here, with the climber planning a thorough warm-up, a short section of skill-development, and then a nice, fun session of bouldering to finish the day. Let’s call these Bouldering Days. The focus of these days should be fun and should involve mastering movement as well as spending time with others. These days will be slightly less intense than a limit bouldering day, and should be of higher total duration for this reason. In addition to bouldering days, you’ll also train. Too much time focused exclusively on training the physiological factors of the sport such as finger strength, explosive power, or endurance can limit or dull your skills. For most climbers, I argue that ceasing climbing for a month to focus on finger strength is, at best, a lateral move. Most climbers lose so much in skill over that period that the finger strength gains are of questionable value. In Logical Progression, the second session in the series in a Limit Boulder session. This will be considered a normal bouldering day as far as the training/practicing relationship is concerned. In the original program, the third-day sessions were about building endurance for routes, i.e. being able to maintain power in an active state for short periods of time. Although some boulder problems lean into the endurance realm, the majority of boulder problems take less than a minute to complete. Where endurance comes into play is in developing the ability to have several good tries per session at very high levels of intensity. Instead of training “deep” into the anaerobic system, we train “wide.” We don’t worry too much about sustaining efforts over longer durations, but rather about being able to elicit more quality repeats per training session. Step 1 is to build up to 90 minutes of bouldering in a single session with no more than 5 minutes rest between problems. For a normal boulderer, this might mean backing off to easier problems at first. Once you have done the full 90 minutes 2-3 times, start tracking the V-Sum of your sessions. A 6-session cycle of capacity should see your V-Sum (always at a fixed 90 minutes) go up by about 5% per session. You’ll really be working hard toward the end of the cycle. After 6 sessions, back off for 1-2 weeks, then start in again with a goal of matching your V-Sum from session 3 or 4 of the previous cycle. If, for some reason, you can’t hit 90 minutes each session, you can divide the V-Sum by the number of minutes you trained to get a “session density” number. This is an inferior practice, though, because we really want to look at total work in sessions and want to be pushing for more over each cycle. A tendency of many climbers (and most humans) is to look only for the things they agree with and excel at. When boulderers start training capacity, many of them struggle. They think it is “useless” or is “stupid.” It is important to keep in mind that if your training is working, if you’re regularly sending harder and harder grades, then you should not change your program. If you’re stuck, be willing to assume that your plan might be at fault. And if you decide to enter a new program, understand that the least attractive parts of it might just be the most useful things you can do.